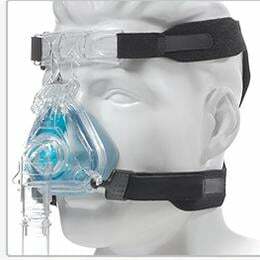 New gel technology fuels the success of the ComfortGel Blue nasal mask, which offers a unique cushion for premium comfort. 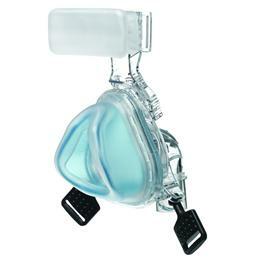 Featuring an EZ Peel tab, the mask adjusts in four places to create a custom fit in a size compatible with most wearers. The ball-and-socket headgear ensures easy mask removal, and silicone comfort straps that improve seal are just as easily removed for cleaning. ComfortGel Blue also provides relief for the bed partner thanks to an angled exhalation micro port that redirects air in a quiet, undisrupted operation.